I actually got three Garnier products separately and all of them turned out to be under the clearly brighter line but I'm dedicating this entire entry to the best of the three, the Garnier Skin Active Clearly Brighter Dark Spot Corrector. This product comes in a 30 ml squeeze-type tube with a screw cap. I like the pointed nozzle which easily dispenses the right amount I need without overspilling. It's opaque white in color and has the consistency of a light cream. It spreads easily and is fast absorbing. I love that it only takes a small amount to thinly cover dark areas of the skin. It has a lightweight finish and looking closely you'll notice light reflecting specks giving an immediate brightening effect on the skin. Since I have melasma on the forehead and occasional pimple marks on areas of my cheeks, I just apply it all over my face after toning and wait a good 5 minutes before adding a layer of moisturizer at night or sunscreen during the day. A couple of months ago during vacation, despite the use of sunscreen my repeated exposure to sunlight took a toll on my skin. My melasma acted up a bit but good thing I got hold of this dark spot corrector in time. After a week of twice daily use my melasma noticeably lightened and the following week it was way easier to conceal with makeup. After three weeks, although my melasma didn't magically disappear, it lightened significantly without peeling, redness or any signs of irritation. 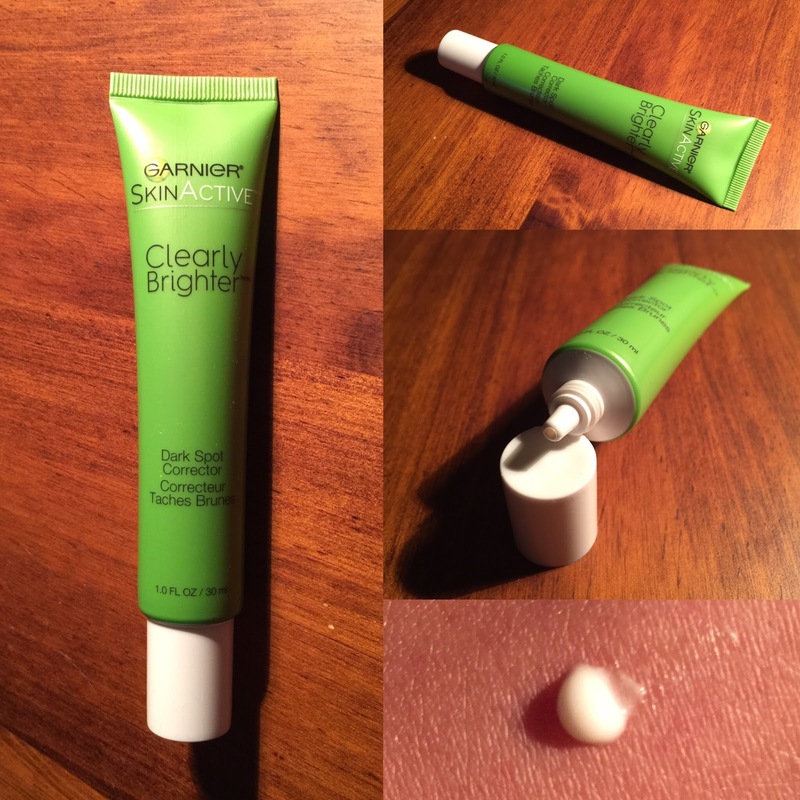 Overall, the Garner Skin Active Clearly Brighter Dark Spot Corrector truly works! It lightened my melasma without any downtime and it didn't break me out or irritate my skin. The only problem here is it's not yet available in the Philippines but if you are from the US you can get it from your local stores like Walgreens, Target or Walmart for just $17 a tube. Hopefully, Garner Philippines will start bringing the clearly brighter line in soon so more people can benefit from this amazing product. That's about everything! Let me know if you have questions and I'll try answering them on the comments section below. If you like more of skin care or makeup stuff, please feel free to browse other related posts before you go. Thank you and enjoy the weekend!